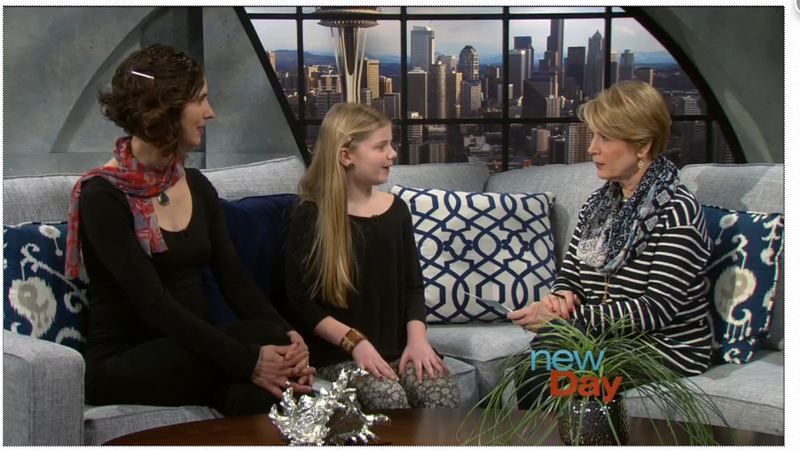 NEW DAY NW Interview with Maria Coryell-Martin, Dakota Stern, and Karen Clark Cole Aired on February 4, 2015, on King 5 TV with host Margaret Larson! NEW DAY NW Interview with Maria Coryell-Martin, Dakota Stern, and Karen Clark Cole Aired on February 4, 2015, on King 5 TV. Thanks to KOMO 4 TV for producing a Public Service Announcement commercial for Girls Can Do in January 2015 for our Feb 7th Girls Can Do event in Seattle. Jen Moran and Karen Clark Cole with KOMO 4 news anchor Mary Nam in a TV interview on January 9, 2015, three weeks before our Feb 7th Girls Can Do event in Seattle. Karen Clark Cole was invited to attend the Women Empowering Women luncheon at the United Nations in New York City, September 22, 2014, on behalf of Girls Can Do. Ingrid Backstrom and Karen Clark Cole with KOMO 4 news anchor Mary Nam in a TV interview on May 9, 2014, one week before the first Girls Can Do event in Seattle. For more information, please visit our About Us page and our Contact Us page.